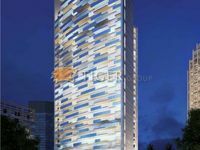 The available apartments for sale in Jumeirah Village Triangle are absolutely propitious opportunities of real estate investment in Dubai’s most vigorous business, properties. Jumeirah Village Triangle, or as known as JVT between public, is a Nakheel project. 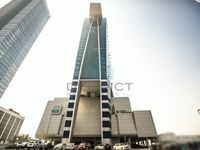 It lies directly on Sheikh Mohammed bin Zayed Road which makes it only 10-minute drive from all districts around Dubai. JVT is near many top residential communities, it is adjacent to Jumeirah Village Circle and opposite to Dubai Sports City. The project is in close proximity to a diversity of entertainment venues and amenities that draw a lot of visitors every day like Dubai Miracle Garden, Jumeirah Golf Estates, and many other. JVT has a unique cone shape, it is highly demanded by family and single residents of Dubai who opt for a central residential community that it is quiet, comfortable, yet near the bustling downtown life known of Dubai. Expanses of luscious greeneries and gardens are dotted around the district offering spectacular views to the eyes. They can be seen from nearly all residential units. Jumeirah Village Triangle project has a wide set of properties for rent varying between apartments, villas, townhouses, and many more. The apartments range in size between one-bedroom, two-bedroom, three-bedroom, and four-bedroom to meet the different demands of all users’ segments, they lie in mid rise and high rise buildings located on the outer perimeter of the district. Villas provide veritable luxury living, they are themed after Arabian and Mediterranean designs and they offer large ambience for big families. Townhouses are also part of Jumeirah Village Triangle residences. 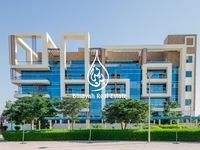 Either expats looking for a nice place to live, nationals, or property investors, they will definitely find satisfiable options between the displayed apartments for sale in Jumeirah Village Triangle. The project is favorable for all thanks to luscious interior and exterior designs. Also, because of its large gardens, parks, and tree-lined pathways suitable for jogging and cycling. 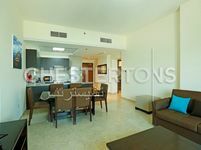 The displayed apartments for sale come furnished and unfurnished. Furnished units feature higher selling price, but they will save investors the hassle of finishing and fitting out the apartment after buying. 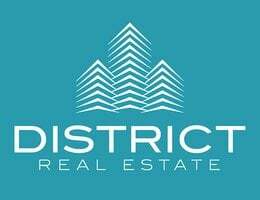 The district houses an array of amenities and facilities including sports venues and playgrounds. There are also international schools, retail centers, laundries, hair salons, restaurants, and cafes. Everything is available, all matters of perfect living is just around. Investing in JVT apartments offers high return as the apartments are popular between tenants looking for exquisite living. Moreover, properties value in Dubai appreciate year after another with an average of 10% to 12%. Just Property has a large selection of apartments for buyers to choose from. The apartments are listed in well organized lists that are easy to browse and search. Users can rearrange the displayed apartments according to price or date of publish. They could also limit down their search results to get only more fitting results. It’s not a hard thing anymore to find a property for investment, just check our website and call our numbers once you find something convenient.